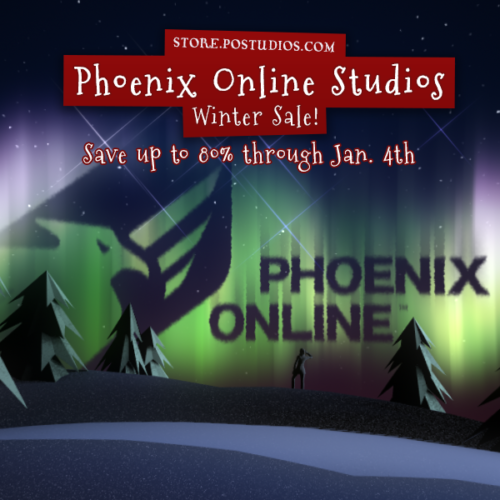 The Most Wonderful Time of the Year: The Phoenix Online Winter Sale! That’s right, it’s that time of year again–our Winter Sale is on! Head over to the Phoenix Online Store now to save up to 80%! All Phoenix Online games are on sale, and our soundtracks too! Now through January 4th, so it’s a perfect time to give the gift of the adventure!